Lotion: Our fragrance-free lotion is beneficial for those with extra sensitive skin. It delivers all the benefits of our original formula, without the scent. 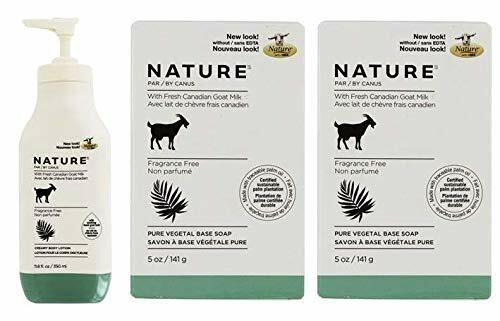 It's ideal for people who love our fresh goat's milk products but are sensitive to some ingredients.//Soap: Our fragrance-free soap is beneficial for those with extra sensitive skin. It delivers all the benefits of our original formula, without the scent. It's ideal for people who love our fresh goat's milk products but are sensitive to some ingredients. Create your own Handmade Soaps. Simply add your desired essential oil, fragrance to customize your soaps. Your handmade soaps can be made with these simple steps.CUT - Create your own handmade and custom clear soap bars. 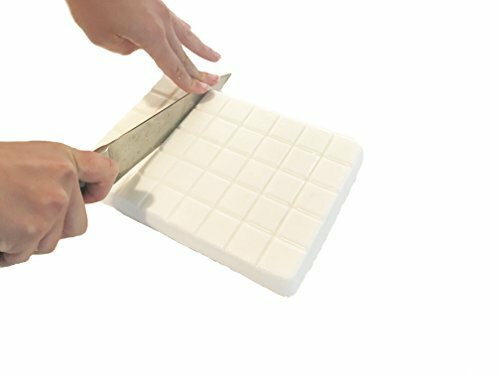 Simply remove the shrink wrap from the scored soap block. Cut the along the scores of the soap block, each block weighs approximately 1.25 ounces.MELT - Slowly heat the soap and be sure it's melting evenly and does not boil or burn. The soap base can be melted in the microwave or double boiler. NEVER HEAT SOAP ON DIRECT HEAT, ALWAYS A DOUBLE BOILER.MIX -Add your favorite essential oil, fragrance and or color once the soap is completely melted.POUR -Pour the soap into your desired mold, once the soap is poured into the mold you can slowly add your desired botanical.DEMOLD - Once the soap has completely cooled demold and wrap the immediately to help preserve and protect the soap. Lotion: Fresh goat's milk has long been used as a skin moisturizer. Goat's milk contains capric and caprylic acids which reduce the alkalinity found in many skin care products. 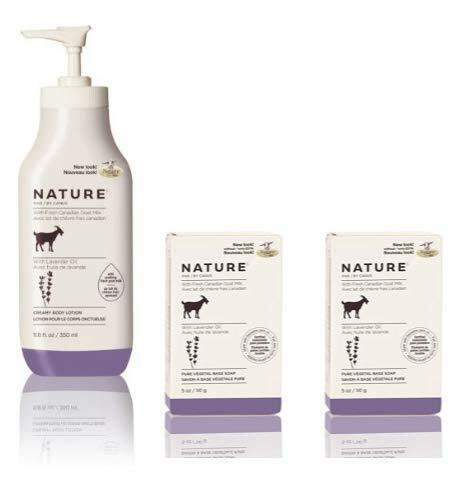 We combine fresh goat's milk and natural essential oils to make up our signature original formula. 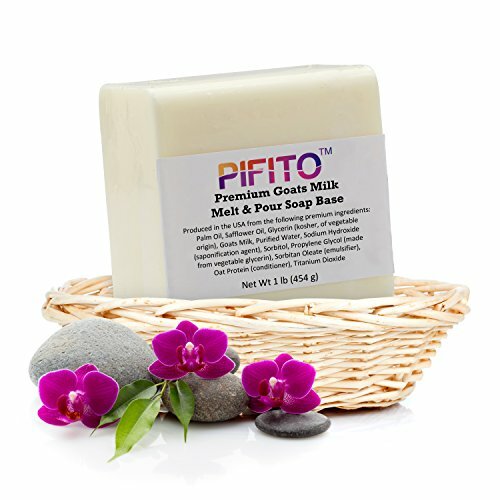 You will enjoy the soft, clean feeling and all the nourishing benefits of fresh goat's milk. Free of parabens and phosphates. No artificial colors. Not tested on animals.// Soap: Fresh goat's milk has long been used as a skin moisturizer. Goat's milk contains capric and caprylicacids which reduce the alkalinity found in many skin care products. We combine a pure vegetable soap base with fresh goat's milk and natural essential oils to make up our signature original formula. You will enjoy the soft, clean feeling and all the nourishing benefits of fresh goat's milk. 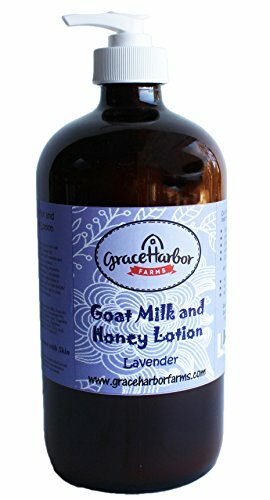 Lavender Goat Milk Lotion 32 oz Bottle Our lavender lotion is also rich in coconut and avocado oils. The soothing scent of lavender will leave you feeling pampered and relaxed. You will find that this lotion goes on smoothly and just gets better as your skin drinks in the nourishment. This lotion is made only with ingredients whose names you can easily read and pronounce! The combination of honey and grapeseed oil gives this lotion a fresh feel and a wonderful scent. 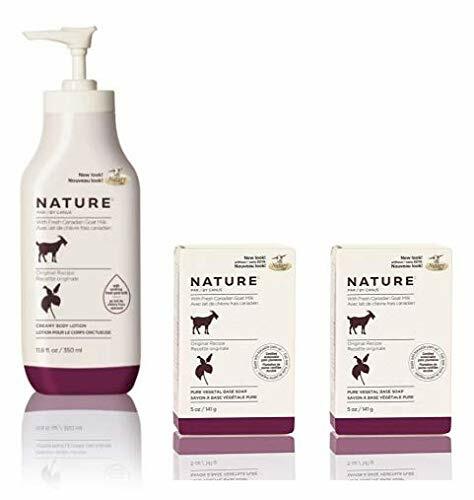 Ingredients: Purified Water, Pasteurized Goat Milk, Emulsifying Wax (Cetylstearyl Alcohol, Polysorbate 80), Stearic Acid, Avocado Oil, Grapeseed Oil, Vegetable Glycerin, Honey, Coconut Oil, Optiphen (Phenoxyethanol and Caprylyl Glycol), Lavender Essential Oil, Citric Acid, Vitamin E. We always use essential oils, not fragrances. 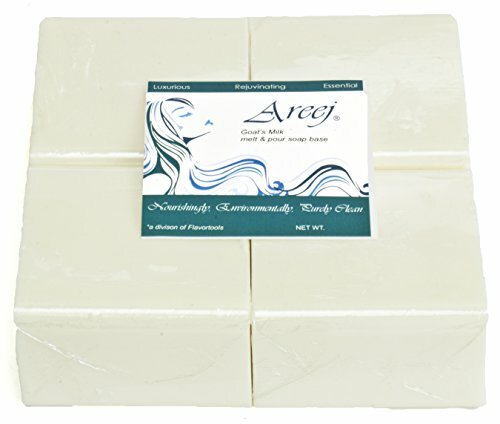 Goat's milk melt and pour soap base: (10% goat's milk) goat's milk is thought to soften skin. Our goat's milk soap is made with real Liquid goat's milk and has a delicate creamy later with a "Custard" color. 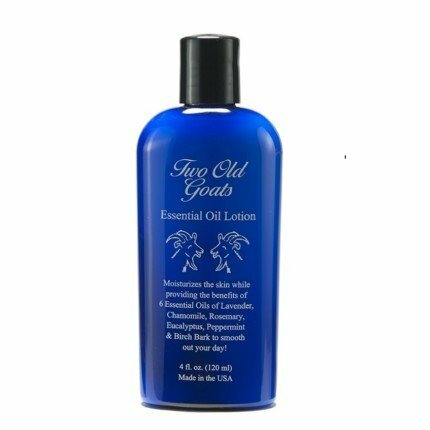 Looking for more Goat Milk Lotion Base similar ideas? Try to explore these searches: Cutwork Knit, Baby Pink Prom Dresses, and Kimdura Thermal Label. Look at latest related video about Goat Milk Lotion Base. Shopwizion.com is the smartest way for online shopping: compare prices of leading online shops for best deals around the web. 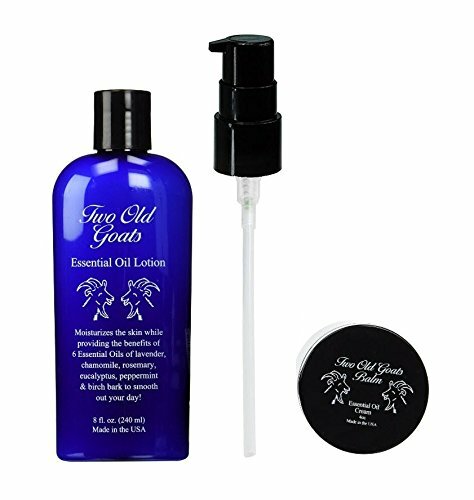 Don't miss TOP Goat Milk Lotion Base deals, updated daily.